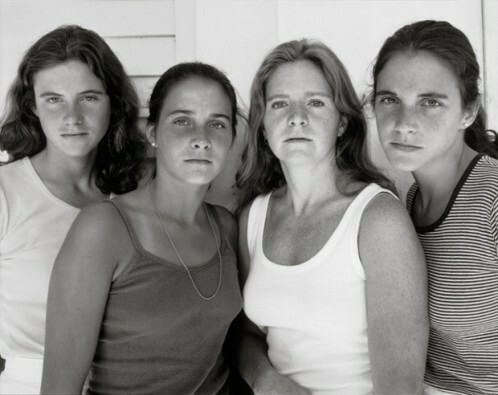 After an exhibition at the MoMA, The Pinakothek Der Moderne is now showing the sought after Brown Sisters show of Nicholas Nixon. Brown Sisters is a series of 40 photographs taken over 40 years. It portrays four sisters whose last name is Brown. This long time project begun during a monotonous family dinner. Nixon decided to take a picture of his wife – Bebe – and her three sisters. It was in 1974 and a simple family picture appears to be a lifetime project when Nixon chooses to extend the idea over the years. Thus, the forty photographs respond all to the same concept. 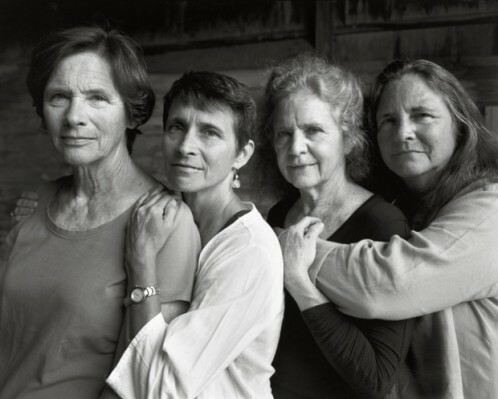 The sisters always appear in the same order, left to right, Heather, Mimi, Bebe and Laurie and are shoot with a 8x10in view camera on a tripod with a black-and-white film. The four figures of the Brown’ sisters and their frontal gaze confront directly the camera in an always intimate way along the years. Nixon’s project is a testimony of the sisterhood bond as well as of the impact of time on individual human beings.